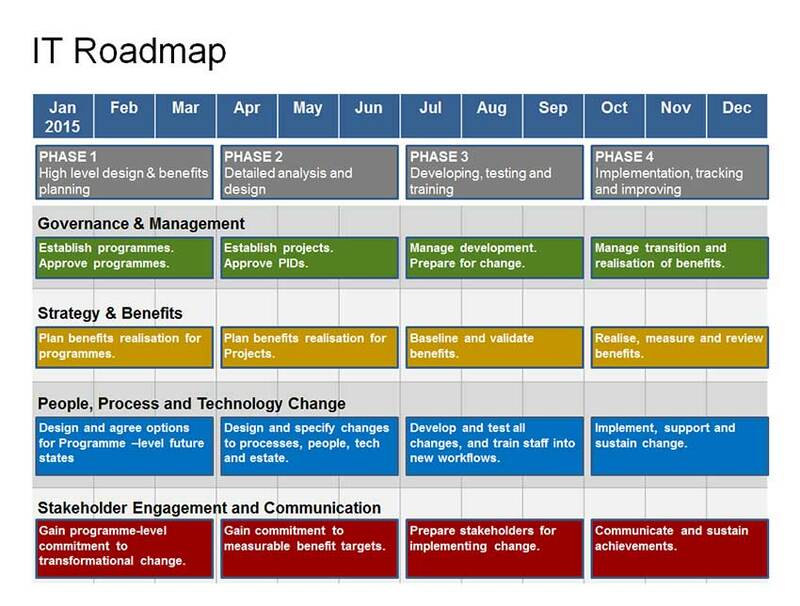 This Agile Roadmap Template uses a stylish Tube Map graphical format. You can amend these to suit your needs. Uses an editable Visio timeline. To show KPI or Business Goals. 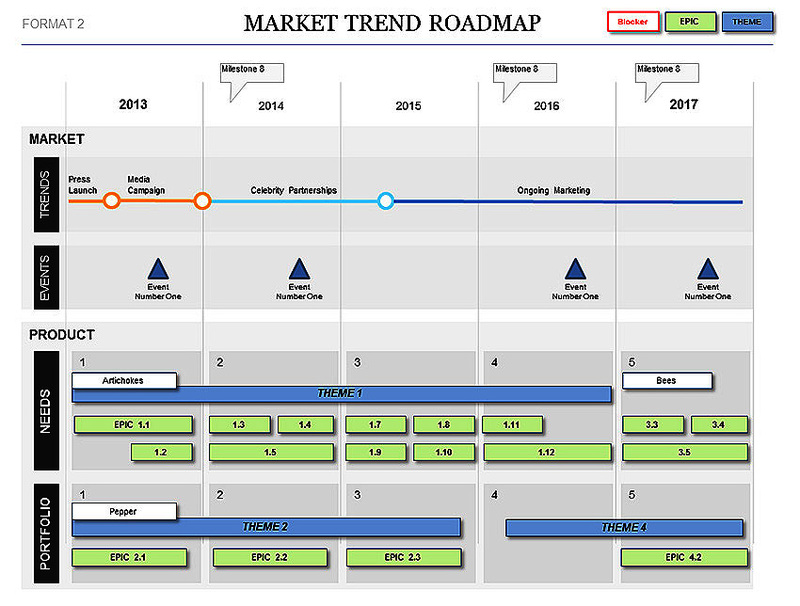 Rating for Agile Roadmap Template (Visio) Template: 4.6 out of 5 , based on 8 customer reviews. 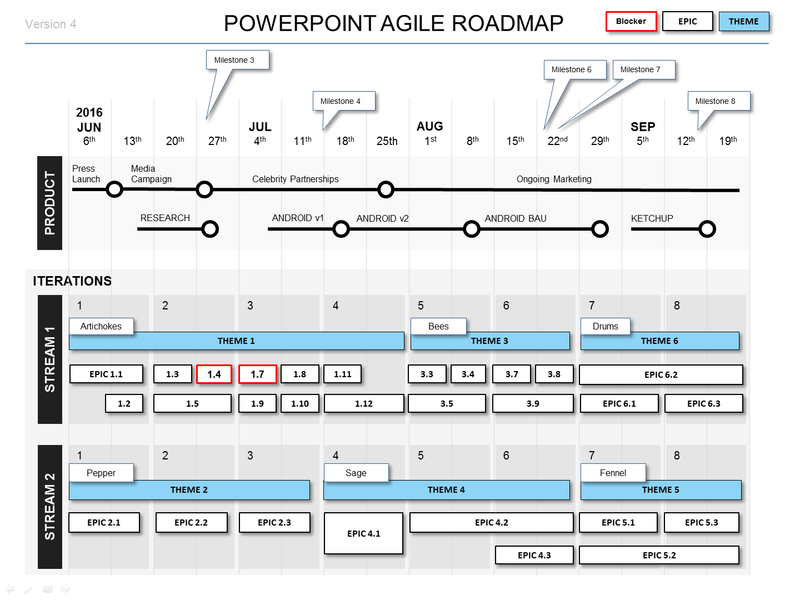 The Powerpoint Agile Roadmap Template features 4 agile formats: Dashboard, Iteration, Theme, and 2-year Roadmaps – all in easy to edit Powerpoint Slides.